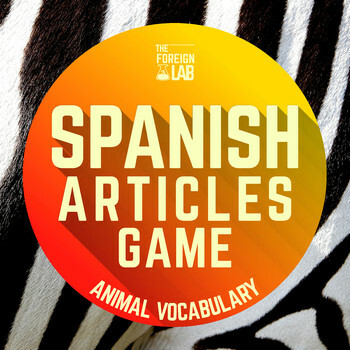 Spanish Articles Game with Animals Cards + Animals Handouts: a set of Spanish articles cards + animals cards to practice masculine vs feminine articles and animals vocabulary. Students will have to match the animal picture with the right article card. 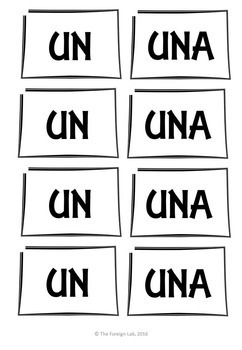 You can use the cards to play memory games, charades, pictionary, guessing games, board races, etc. 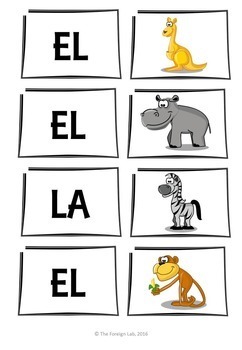 Thanks to the animal picture dictionary students will have their own three page dictionary which they can bring home or keep in class and use during the activities. 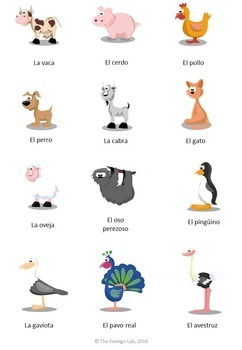 Vaca, cerdo, pollo, perro, cabra, gato, oveja, oso perezoso, pingüino, gaviota, pavo, avestruz, hipopótamo, mono, ratón, oso, armadillo, camello, canguro, lagarto, ciervo, mapache, serpiente, leopard, tigre, panda, caballo, rinoceronte, cocodrilo, león, pelicano, buitre.